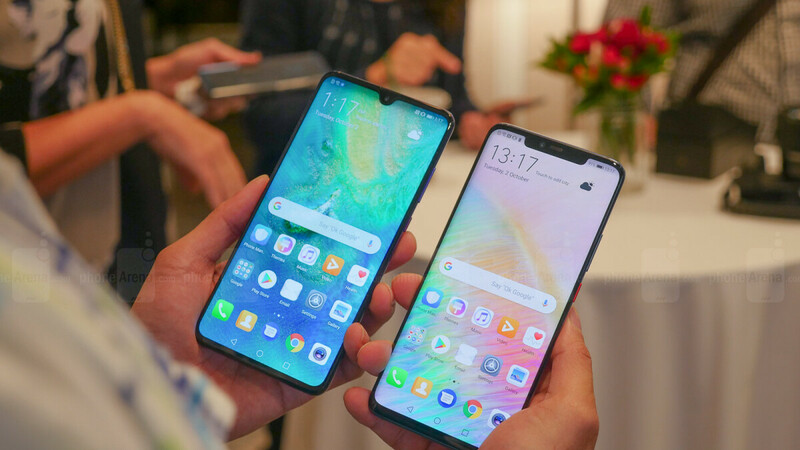 There are a number of differences between the newly unveiled Huawei Mate 20 and Mate 20 Pro potential buyers (outside of the US) may want to consider before making their decision, but perhaps the most important thing helping the pricier version stand out is a top-notch 6.39-inch display. While the size of the Apple-inspired screen cutout is certainly not ideal on the Huawei Mate 20 Pro, you get super-advanced 3D Face Unlock functionality courtesy of that extra-wide notch. Compared to the “regular” Mate 20, the Pro sports a smaller but higher-res and significantly higher-quality panel. At least in theory, as OLED technology has become synonymous with top-of-the-line display performance, while LCD screens are generally viewed as inferior these days by everyone from Apple to Samsung, LG, and Google. After booking its OLED orders from industry top dog and arch-rival Samsung for last year’s Mate 10 Pro, Huawei was rumored to be pursuing a partnership with BOE a few months back. The newly formed alliance has reportedly materialized in the meantime, as the new supplier is apparently behind the beautifully curved AMOLED panel of the Mate 20 Pro. If this display proves in real life as impressive as it looks on paper, BOE could well become a prime candidate for a backup spot in the production of Apple’s next-gen iPhones. The Chinese company, founded back in 1993 and focused mainly on LCD technology until recently, was reportedly in talks with the Cupertino-based giant back in July for a future collaboration. Today’s news out of China confirming BOE as the “main” screen supplier of the Huawei Mate 20 Pro oddly mentions nothing about the Mate 20 X. The gigantic pen-wielding phone sports an AMOLED screen with a lower resolution and waterdrop notch. There’s also the luxury Mate 20 RS Porsche Design, which seems to come with the exact same display of the Mate 20 Pro, following in the footsteps of a Mate RS Porsche Design that actually used an LG-made panel. Apparently, Huawei is not as forgiving or patient as Google. Should have stick with the Teardrop/Waterdrop Notch design in the Pro version. Facts. People who never used an iPhone X don't know how useful that is. I will give some nod to intelligent scan but it's nowhere near as reliable as faceid. at least there is software "hide notch" trickery. They can't fit all those 3D-sensing sensors in waterdrop notch. The Mate 20X should have lower quality OLED than the Pro, due to it's larger size screen and lower pricing. Mate 20's LCD display is made by JDI. Mate 20 X's OLED display is made by Samsung. Actually, you are wrong. The primary supplier is BOE, but LG is the secondary supplier. Because inferiority is the new trend!! Get along with it! !